The success of your call center is contingent on the effectiveness of your voice communication solutions. Investments into new phone systems can yield significant results if they increase calling efficiency and improve communication clarity. 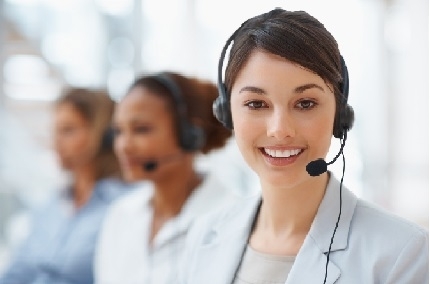 Whether you run an outbound call center and are generating leads or closing sales or an inbound center to manage customer service, telecom solutions, particularly VoIP, can streamline connectivity while providing the advanced functionality needed to keep up with the fast-paced nature of the call center industry. Reduce costs: Limiting spending on long-distance and other generally expensive telecom services and features can free up costs for other areas of the business. Local lines are replaced with broadband internet connections, which can slash your organization's phone expenditures by up to $40 per line per month. Funneling these savings into the IT infrastructure at the call center can ensure your telecom solutions are supported with the network strength needed to manage a high daily call volume. Integration: Data generated from a VoIP system can integrate with other business functions connected to the IT network. In a call center, data tracking is crucial, and according to a 2013 study commissioned by White Pages, roughly 25 percent of call centers struggle with data overload. Users must know which numbers they have dialed, how many times they have called a certain number and the outcome of each interaction, all of which is much easier to manage with an integrated VoIP system. A traditional, analog phone system is susceptible to human error, which can result in costly mistakes. New features: Many Voice over IP providers are on the cutting edge of innovation, and new features are coming out all the time. Customer expectations, as a result, are also evolving. In an age of constant connection and seamless communication, most people will not settle for dropped or missed calls. Staying on top of the industry and the tools you have at your disposal — forwarding calls from a call center employee's landline to their mobile, for example — is much easier with the right VoIP solution. This entry was posted in VoIP on September 16, 2014 by Josh Reid.